Do Computers Hallucinate Electric Sheep? The program constantly checks its anticipated with its actual processing framerate. If they divert, noise is introduced into the system and pixels change color. Simultaneously the system looks for noisy pixels above a certain threshold and amplifies it’s surrounding neighbor-pixels. In a feedback system, checker-patterns emerge on the scene. The more occupied your computer’s processor is, the faster the noise will appear. The Ganzfeld Effect is a highly interesting introspective phenomenon I’ve written about before in Amplify the Neural Noise. If our vision lacks differentiated input, our brain turns it off assuming no actual input happens. While searching for any visual signals, our brain focuses in on any neural noise and amplifies it in search of patterns. Dream-like hallucinations can occur. The processing.js application on the left creates a processors visual Ganzfeld effect. It starts out with an monotonous red color field and slowly amplifies any processor noise by coloring pixels and producing patterns. Leave it run for a while, get busy with some other browser tabs, and then check back to see how much noise and patterns have accumulated! 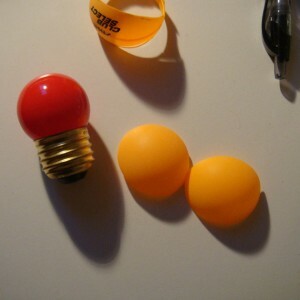 A cut-in-half ping pong ball and a color lamp – that’s all you need to do your own Ganzfeld tests. You find simple instructions on Instructables – Ganzfeld: Hack Your Brain the Legal Way. The experience is similar to the patterns you see when having your closed at night, yet more colorful. I imagine Gormleys beautiful and mystifying glass-walled chamber – a void filled with dense water vapor and diffused light – produces similar visual effects (if you avoid running into fellow mist travellers). 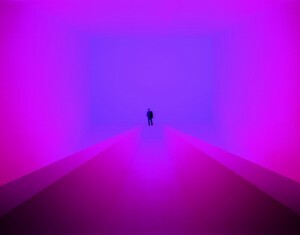 And of course Turrell is the Ganzfeld artist. 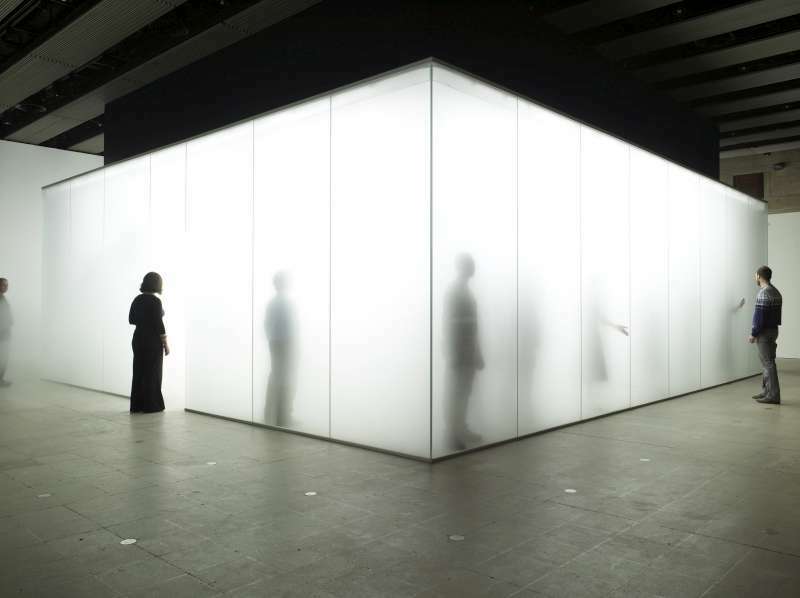 His series of walk-in installations construct the perfect vacuum of visual stimuli and invite visitors to explore their own perception and mind. Posted in Research and tagged 2011, Antony Gormley, Ganzfeld effect, noise, processingjs.